Give the gift of Spin! Gift cards are now available! For every $25 your spend, earn $5 for yourself! Purchase online here or in studio. Our branded Spinunity app hasn't been providing the elevated level of service we expect for our riders. We have decided to discontinue it but will still offer the same options (including text notifications) through the Mindbody app. Please download the Mindbody app and save Spinunity under your favourites. It'll be just as easy and secure to book your classes, all you have to do is take a minute to ensure your notifications are set up the way you like. We would love to host your private party or event at our studio. Child minding shifts available too! We’ve made some changes to the studio and cant wait for you to see them! Including: lighting, new speakers, bike layout and more. A collaboration of favourite tracks from your Spinunity crew! Riders, new clip in's have arrived! You can now choose to rent or purchase directly in studio, just ask your front desk staff for assistance next ride. Check out whats going on in and out of the studio! It's no surprise the majority of people I talk to in studio say they come to ride for their mental health, and the fitness benefit is complimentary to that. 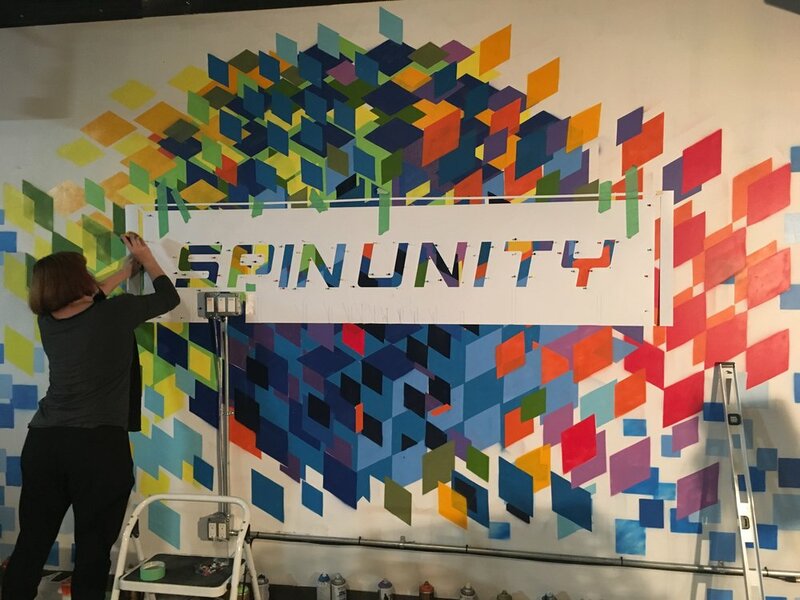 It gives me great pride to hear this, as it's truly the reason we opened Spinunity. Then I experienced my first boutique fitness class. The greeting I received from the front desk, the applause that came when the Instructor congratulated me after class was over...I was hooked! I felt immediately connected, regardless that it was an amazing workout. When I walked out of those doors, my mind was clear - I was happy, I felt great. I understood the true meaning of fitness. When I see people engage in conversation before class and hear laughter and chatter coming from the change room, it gives me such a feeling of accomplishment knowing that my experience is being replicated. Spinunity breeds that feeling of inclusion. And when I attend a team members class in our studio, it brings me back to my first experience, and I remember that whatever life throws at me, I have a positive and focused mind to handle it. Indoor cycling started as an escape for me, not from life but from the hustle that life brings. How refreshing does it feel to shut off your brain for an hour? So I ask you, what's so wrong with an hour? Broken down it's only 1/24 of your day to spend on the most important person in your life...YOU! Thank you for your love and support YEG! Spinunity essential oils & sprays!